Rolex Water Resistance - Have You Checked Your Watch Lately? 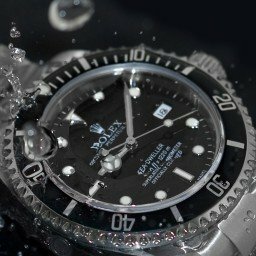 Are Rolex Watches Waterproof or Water Resistant? Similar to most Rolex owners, you probably give little thought to your Rolex water resistance rating. However, it’s a concern every Rolex owner should have, regardless of the model or how you use it. Rolex does a fantastic job marketing their impressive Rolex Oyster case, which is they use on nearly every Rolex. In fact, many people mistakenly think that it is impossible for water to ever penetrate a Rolex Oyster case. So let’s begin by clearing up one common misconception – Rolex watches are not completely waterproof. Instead, Rolex water resistance carries a rating which essentially certifies to what depth a Rolex will remain water resistant under ideal circumstances. A water resistant watch like a Rolex isn’t waterproof just like stainless steel isn’t stain proof. And the water resistance rating level of your Rolex again assumes ideal circumstances. If you haven’t maintained your watch recently, chances are its water resistance rating is considerably less than the advertised rating. So don’t take for granted that your Rolex watch is waterproof before going near water. To learn more, reference the Water Resistance Rating Chart for examples. 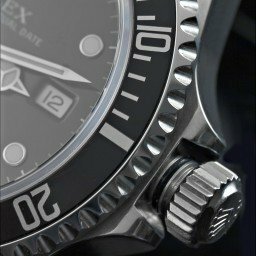 I’m Not A Diver So Why Do I Care About Rolex Water Resistance Ratings? You don’t have to be Jacques Cousteau to be concerned about maintaining the water resistance of your Rolex. Because there are many, many factors which can over time reduce the Rolex water resistance rating, making the watch susceptible to water damage from even benign, mundane every day activities. All Rolex watches have gaskets and seals around the various entry points into the case (at the crystal, the case back, and the crown). These components and their effectiveness can degrade over time under the best of circumstances. Extreme temperature inversion (such as what happens when you enter and exit a sauna, hot tub, or even a hot shower while wearing your watch) can accelerate the natural degradation of the seals. Left unchecked, that degradation will slowly chip away and reduce the water resistance of your Rolex to the point where nearly any moisture source can penetrate inside the case. In addition, simple human error impacts Rolex water resistance levels. To wind your Rolex, you have to unscrew the crown. When you do so, you compromise the water resistance rating of the watch until the crown is screwed back down. It’s a pretty simple mistake to forget to screw the crown back down. In some cases, the crown on a Rolex will simply come unscrewed on its own and pop out. Consequently, this is easy to overlook and accidentally jump in the shower or just wash your hands. Now, just because water is present with the crown unscrewed, it’s not an immediate death sentence for our watch. Again, there are rubber gaskets and seals that work in conjunction with the Rolex crown to keep water out. But if those gaskets and seals haven’t been changed in a while or have been degraded by other factors, water could penetrate the case. The take away here is that everyone (not just deep sea divers) should be concerned with maintaining Rolex water resistance rating of their watch. To achieve industry leading water resistance levels, Rolex designs and manufactures components to highly precise and extremely specific tolerances. When you replace factory components with non-Rolex “after market” components, you risk diminishing the water resistance of your Rolex. In some cases, people use after market components to save money. For instance, they replace their factory Rolex sapphire crystal with a sapphire crystal made by another 3rd party manufacturer. But the crystal covers a huge hole in the watch where moisture can enter. Does this 3rd party manufacturer know the precise measurements needed to ensure the crystal they are providing maintains the same water resistance when placed in your watch? Does the manufacturer have both the expertise and the machines necessary to achieve the exact measurements and tolerances that a factory Rolex crystal does? Do you even know who this 3rd party manufacturer is in order to ask these important questions? You should ask these questions if you intend to install any non-Rolex component on your Rolex for any reason. Normal, everyday things which just happen can and do impact the water resistance of your Rolex. Have you ever bumped your watch into something like a door knob? Chances are, such an impact won’t even scratch the finish, much less do any internal damage. But there’s a very real chance that a strong impact could unseat a seal or gasket. This would, in turn, reduce the water resistance of your watch. The worst part is, if it happens, you won’t know it because all outward and visible signs indicate that your watch is just fine. Of course, if life happens and you do get some visible damage to your watch like a cracked crystal, then repair the watch before going near water. If your Rolex water resistance rating is compromised, you might get lucky and only experience condensation forming under the crystal. Usually, if this is caught early, doesn’t translate into permanent damage. However, if you’re not so lucky, the dial will get wet and usually must be replaced. Unfortunately, if you’re really unlucky, water will seep into the movement and go unnoticed for months. Eventually, the time-keeping functions will cease altogether due to water damage. When this happens, it’s really expensive. You start asking questions like “is it cheaper to replace the movement or just buy a new watch?” You don’t ever want to have to ask those kinds of questions. Because there are so many variables that can impact the water resistance of a watch, most pre owned Rolex vendors do NOT warranty the water resistance of a pre owned Rolex. What Can I Do To Maintain My Rolex Water Resistance Level? Regularly pressure check your watch to maintain its water resistance level. This is particularly true if you dive with your watch. But it’s also important even if your watch never sees any depth greater than your kitchen sink. The good news is that most watch service professionals have the equipment necessary to properly pressure test a watch. Generally, this is not expensive to do. Neither is it expensive to replace the rubber gaskets and seals on a Rolex. You should replace these annually, at a minimum. Keep in mind, the costs to pressure test and maintain your Rolex water resistance rating pales in comparison to the costs of repairing watch damage – which could easily equal the cost of buying another Rolex. So don’t ignore regular testing and maintenance… and remember to keep that crown screwed down at all times.